Rajah Healthy Acres is an Ayurvedic hospital with facilities of a resort, situated in the countryside of Kerala, India, on a vast hilly terrain. The tranquil surroundings of Rajah Healthy Acres, with its vast expanse of land and thick greenery, tucked away in a pleasant country side, is most becoming for these revitalizing treatments to take affect. 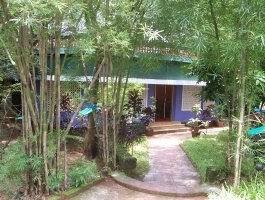 Rajah Healthy acres are an Ayurvedic health center in a lush country side - quiet and serene with facilities set in a 180 acre spread of thick greenery. 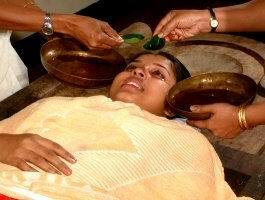 Here, you can opt for different traditional treatments of Ayurveda in the snug comforts of modern facilities. A centrally located health center, well equipped with complete Ayurvedic health care system, run by experienced physicians will provide the healing touch. Nearest Airport: Cochin, Calicut and Coimbatore airports. Rajah Healthy Acres is a part of Rajah Ayurvedic Hospitals. 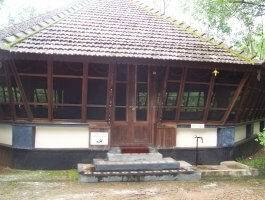 The Rajah Ayurvedic Hospitals also governs Rajah Islands and Rajah Beach, two other Ayurvedic resorts in Kerala, India. 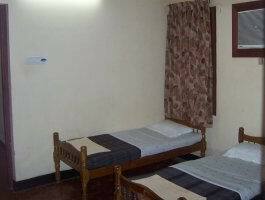 The various cottages of this resort for stay were constructed with focus on providing a quiet and peaceful atmosphere for the guests. 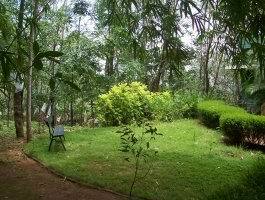 Thick greenery surrounds the cottages giving excellent views from each cottage. Rajah Healthy Acres is also licensed to manufacture several medicines including herbal powders and pastes. The hospital offers treatment for various illnesses as well as rejuvenation therapy for healthy people wanting to cleanse and refresh their body and mind. Rajah Healthy Acres uses these methods of Ayurveda to treat ailments like - Anxiety, Arthralgia, Asthma, Back pain, Diabetes, Disc Prolapse, Diseases of the eye, Dislocation, Dystonia, Hemiplegia, Hypertension, Impotence, Infertility, Miscarriage, Motor Neurone Disease, Multiple Sclerosis, Obesity, Peptic Ulcer, Peripheral Neuritis, Psoriasis and other skin diseases, Rheumatic Joint pains, Rheumatoid Arthritis etc. Apart from treatment for these diseases Rajah Healthy Acres also offers therapies that rejuvenate the body and mind from the ills arising out of the frictions of everyday life. The general types of Ayurvedic treatments offered are; Uzhichil, Elakizhi, Navarakizhi, Navarakizhi, Podikizhi, Udvarthanam, Thalapothichil, Dhanyamladhara, Pizhichil, Sirodhara, Sirovasthy, Snehapanam, Kadeevasthy, Thalam, Lepanam, Pichu, Avagaham, Upanaham, Nethratharpanam, Putapakam, Nethradhara, Aschyothanam, Mukhalepam, Ksheera Dhoomam, Panchakarma Treatments – Vamanam, Virechanam, Nasyam, Sneha Vasthy and Nashaya Vasthy. Resident doctors and cordial and friendly staff makes the guests feel at home and comfortable. For patients, the doctor will decide a diet plan according to the person's disease, bodily requirements and the season. The 1350 square feet cottage is with an air-conditioned bedroom with herbal wood paneling and a guest bedroom. 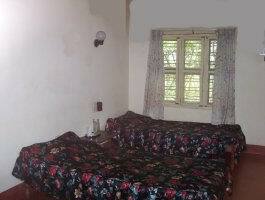 The facilities in the cottage include a living room with telephone, a verandah, treatment room and a kitchenette. The 900 square feet cottage paneled with Vetriver is with a bath attached air-conditioned bedroom. The facilities in the cottage include a living room with TV and telephone, a verandah, treatment room with an attached bathroom and a kitchenette. A refrigerator is also available in the cottage. Thatched coconut palm leaves on the roof of the hut keep the air inside pleasant. 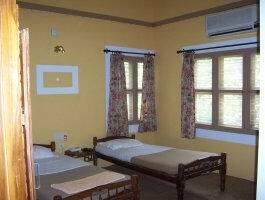 The 1500 square feet cottage is with air-conditioned, bedroom and guest bedroom. 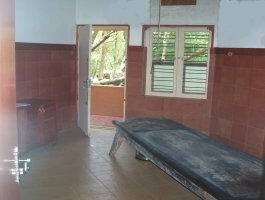 The facilities in the cottage include a living room with telephone, a verandah, treatment rooms and a driver's room. The complex housing the doctor consultancy, a conference room and the center's offices has suites on the first and second floor. Each suite has two bath attached bedrooms and area for treatment and veranda. 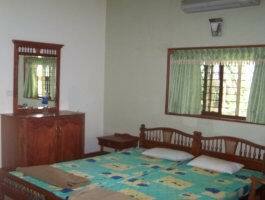 The 700 square feet cottage has a bath attached non air-conditioned bedroom. The facilities in the cottage include telephone, sit-out and TV. The bathroom has an open roof and treatment area. All cottages are provided with kitchenettes if you prefer to cook your own food. A gymnasium, indoor and outdoor games, a medicated pool, a small library furnished with books on a variety of topics and vast extracts of winding ways for long peaceful walks. Trips are also arranged to local tourist spots. Currently broadband Internet is available at Rajah Healthy Acres through the machines of the centre. RHA is considering providing Internet through Wi-Fi so that the guests can access the Internet through their own computers. Address: Perumannoor, Chalissery, Kootanad, Palakkad District, Kerala – 679536.